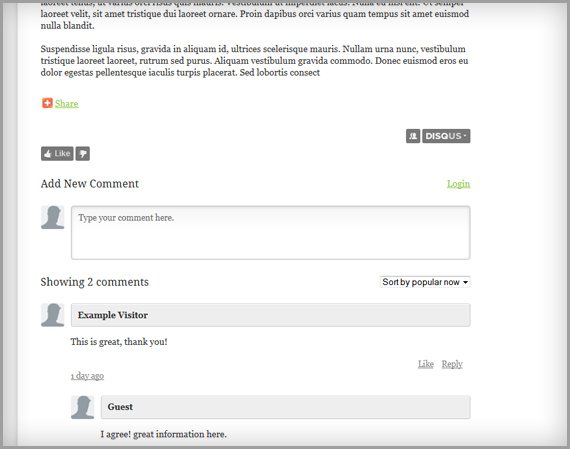 Now you can allow your website visitors to comment on your blog posts! Visitors don’t need to sign up for yet another account on your website to post a comment, they can post as a Guest or use their existing Disqus, Google, Twitter, Facebook, Yahoo or Open ID accounts. Click here for instructions on how to enable comments on your blog.